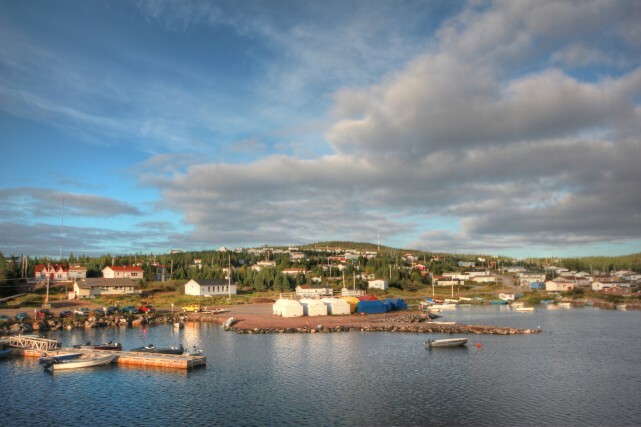 Attempting to describe Labrador, Canada is like trying to catch a moose with your bare hands. Attempting to capture the essence of Labrador with words is like trying to grab the moon or a moose with bare hands. For starters, Labrador is vast. All of Newfoundland, Nova Scotia, Prince Edward Island and New Brunswick would fit inside this region of Canada—with room to spare. This sprawling land is home to the Innu and Inuit, with roots and wisdom so old and so deep that mere mortals cannot grasp on the significance of it all. Archaeological evidence suggests humans inhabited Labrador over 7,000 and 4,000 years ago, respectively. And, oh, the light! There’s something about the light and the air that gives life a three-dimensional quality in Labrador. Colours seem sharper, time slows down a notch, and everything is more sensual—kaleidoscopic even. Here are five snippets of my travels in Labrador—just a few of the reasons that compel me to keep returning to this mysterious and remarkable corner of Canada. Nunatsiavut—“our beautiful land”—is home to five communities along the northern Labrador coastline that are accessible only by ship or plane in summer, or dog sled and snowmobile in winter. After spending the night in a comfy berth aboard the Northern Ranger out of Happy Valley-Goose Bay, I stepped ashore at Rigolet, the oldest Inuit community in Labrador. It was an unforgettable cultural immersion. That morning, Inuit women showed me how to make beaded jewellery and pleat moccasins. I was hopeless at both tasks, but gained an appreciation for the level of artistry involved. After lunch, local resident Martin Shiwak took me scalloping in his small boat. We motored for about an hour then dropped a homemade metal rig that filled with scallops after a short drag. Then we headed to shore to sort and shuck the catch and eat a few au naturel. Back in Rigolet, Martin gave me a bag full of shucked scallops. I seared a batch for supper, then another and another—until they were all gone. That evening, I hiked along the 4.4-kilometre coastal boardwalk to meet an outfitter who was doing a kayaking training session with two other paddlers. They invited me to join them for dinner—freshly caught salmon and trout stuffed with corn, green peppers and onions and cooked on top of hot flat rocks over a fire next to the shore. Even though I had just eaten, I blurted “Love to!” in response to this delicious invitation. As dusk began to fall and the fish sizzled, a full moon seeped over the horizon just as a pod of minke whales surfaced off the shore. Locally called “grumpus,” they huffed and puffed their way around the harbour. I had to remind myself to breathe. I spent a few days in the wee community of 300 people, wandering around, meeting folks like Holman Campbell, a seasoned trapper and fine storyteller. After meeting Holman the first time, I was so smitten with the stories he shared of his excursions into the bush, and tales of the “olden days” that I returned to visit again, and was offered an amazing meal of moose stew. 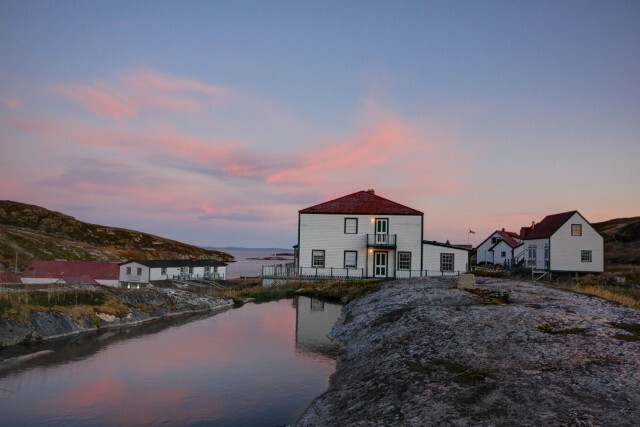 Back in the 1800s and early 1900s when cod was king, Battle Harbour, a small island off the southeastern coast, was the unofficial capital of the province. This is where the Canadian Marconi Company set up the first wireless station in Labrador, which explorer Robert Peary later used to announce his breakthrough to the North Pole in 1909. It’s also where Dr. Wilfred Grenfell established the first hospital in Labrador and where several historical buildings have since been restored. No wonder Parks Canada designated Battle Harbour as one of Canada’s National Historic Districts in 1977. It’s also the only national historic site in Canada where travellers can hunker down for the night. There are no cars on the island, and you can walk its circumference in less than two hours. Luckily for us, shortly after we arrived, the winds picked up and we were stranded for four days as the seas were too rough for the boat to cross back to Mary’s Harbour. I danced a jig! We spent our time gawking at two icebergs parked behind our lodgings in the Battle Harbour Inn, where we also read, and played a trivia game called “Newfoundlandia.” (Question: if something is “scow-ways,” is it high, low, damaged or slanted? Answer: slanted.) We poked around the settlement and learned about the seal hunt and how cod was salted and dried. Bonus? The cooks in the main kitchen attached to the communal dining room next to the wharf showed me how to make dinner rolls, as well as how to cook fish and brewis (pronounced “brews”), a traditional Newfoundland meal of codfish and hard tack, dished up with a generous portion of scrunchions (fried pork scraps). Somehow, it just doesn’t taste the same when I make it at home. I think the salt air and the grins are missing. On one trip to Battle Harbour, I got a lift in a skiff across the tickle (a narrow body of water) to Caribou Island. The skipper dropped me off in the northern part along Matthews Cove, with a walkie-talkie and the understanding that I would hike to the southern side and call in when I was ready to be picked up. I literally stepped out of the boat and into a frolicking frenzy of gulls chasing cod guts that had been thrown off the wharf by two chaps cleaning fish. After getting the low-down on how to salt cod, I proceeded up the hill on a mission to deliver fish cakes from the cooks over in Battle Harbour to Emma Sampson, whose eyes lit up when I gave her the loot. Mrs. Sampson, the sole seasonal occupant of the island, is part of the landscape here, save for a couple of folks who come over and stay in their shanties now and again. She moves to the mainland for winter, but given her druthers, she’d remain in Matthews Cove all year. She knits. A lot. Caribou Island has footpaths that criss-cross up, down and around the island. It’s loaded with peaks, valleys and caves, replete with grasses, flowers, mosses, soft crowberry and tuckamore. One place in particular caught my breath, and my imagination: Trap Cove. Remnants of homes and outbuilding tell tales of lives lived here, and as I sat on the hillside overlooking the cove, I swear I could hear voices on the wind. After donning flotation suits and getting into a small boat, we headed to the Wonderstrands—an impressive and historically significant 54-kilometre-long white-sand beach that juts from the mainland. There, we slid over the side of the boat onto shore—some of us more gracefully than others—and had a leisurely hike. It was like being inside one gigantic theatre. The Mealy Mountains provided the backdrop and the endless beach provided the stage. The surround sound of ocean, wind and birds topped it all off: rugged beauty at its best. Later, we motored over to Pigeon Cove. 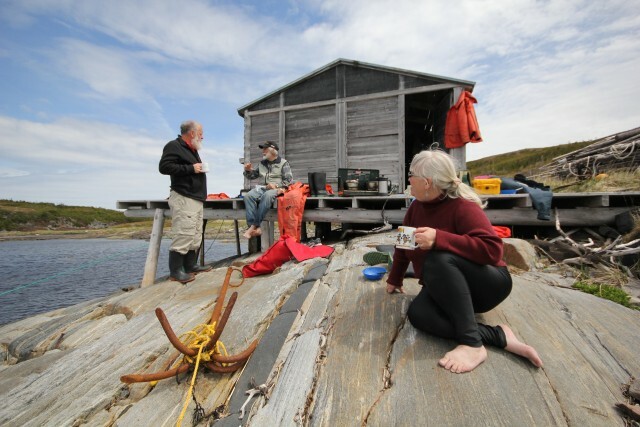 After touring some shanties, we perched on a big rock to enjoy Pete’s moose stew for lunch. “Have you ever had flummies?” she asked. “Nope,” I said. She grinned and produced a containerful. Flummies are a cross between flat white rolls and biscuits that are fried in margarine and topped with brown sugar sauce. After a strong black cuppa tea, we waddled back to the boat. 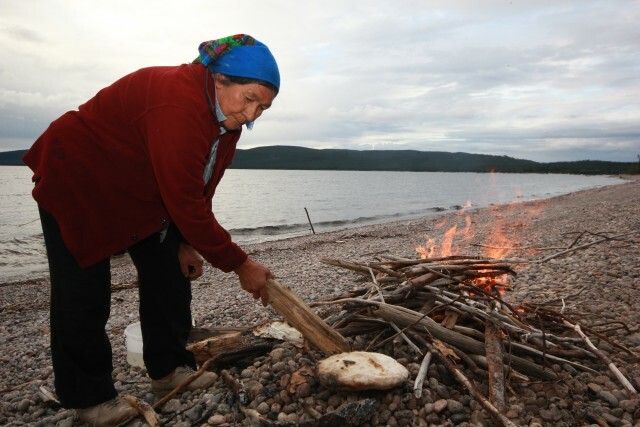 Every spring for years, Innu elder Elizabeth Penashue has led a walk to Pants Lake in the Mealy Mountains of south Labrador on snowshoes, tenting in the bush for three to four weeks. That’s followed by a 10-to-12-day wilderness canoe trip on the Grand River during the summer. Her purpose? To preserve the traditions of her people. Despite having no formal education, Mrs. Penashue received an honorary doctorate degree from Memorial University of Newfoundland and a National Aboriginal Award for her lifelong work protecting the environment and keeping Innu culture and traditions alive. I had the good fortune of going camping on Grand Lake, a short distance from North West River, with Mrs. P, her husband Frances (now deceased), their five-year-old grand-daughter Creelyn and a dog named Porcupine Quills. That night, a black bear visited three times, circling the tent, no doubt sniffing all the food that we had brought along with us. Each time, Frances wandered out and fired his .22 into the air to shoo it away. My job was to shine my headlamp around to see if we could spot the bear. Mrs. P sprinkled holy water around the tent. Porcupine Quills barked. Creelyn? She slept through it all. Note to reader: Sandra Phinney was a guest of Newfoundland and Labrador Tourism and Destination Labrador. Her story was not reviewed nor edited by her hosts. Keep writing. And the photographs are magical. Enjoyed the place through your eyes and words thoroughly. Oh Sudha, I’m so happy to see you pop into view all the way from India! Thanks for the kind words. I know you would love Labrador. Must get you back to Atlantic Canada. For a MONTH! And I yearn to visit India. Let’s work on that! Loved reading this write-up and all the beautiful pictures of my homeland..I would love to read her writings and see the rest of the pictures? If they are in a booklet/book for sale I’d love to buy a copy.. I am a collector of anything written about Labrador.. This was an awesome read..
Linda, I dearly appreciate your kind comments. I don’t have a booklet or book about Labrador but you can see more photos of Labrador on my website. Suggest you go here and click on photo gallery where you’ll find more photos of Battle Harbour and Caribou Island. http://www.sandraphiney.com I have sooo many more I need to put into a gallery (Happy Valley-Goose Bay, the Great Larador Canoe Race, camping with Mrs. Penashue, Red Bay etc etc. Thanks again! Sandra, loved the article and the photos. We were in L’Anse aux Meadows last summer and were so tempted to cross over to Labrador. Wish we had now. Oh Johanna! You’ll have to get back there some day and cross over. The other option is to fly into Happy Valley-Goose Bay and rent a car. Getting there any which way is not cheap … but oh-so-worth it! Thanks for kind comments. Happy you enjoyed this Tunde … and hope you and your husband go to Labrador. If you do … send me an email (sandracphinney@gmail.com) and I’ll give you a bunch more suggestions! Didn’t have enough space in the article to write about it all or it would have been book-length. haha. Seriously … Red Bay is a gem (National Historic Site re: whaling station) + amazing hiking along the lower coast and much more! Wonderful Sandra. The photos are terrific! My wonderful father decided his gift to me when I graduated university was to take me to Newfoundland salmon fishing. Your snapshots, while of Labadour life, brought back fond memories of the very original people I met there. Only caught one damn salmon after a full week of fishing and hiking; but the boys at the wharf were generous and we came back with a cooler full! Love how when I read your stories I feel as if I, too, have visited these places and met these people. Dianne, thrilled to bits to see you pop into view. 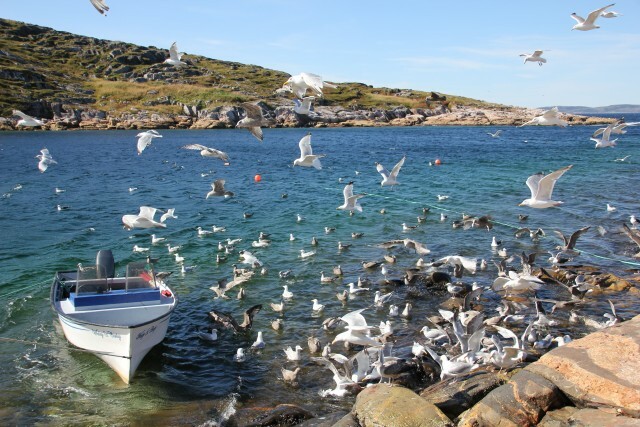 Happy to hear that this story brought back those memories of you and your dad fishing in NL! I’m sure you had a blast! Newfoundlanders and Labradorians and really “something else.” Feet-on-the ground, no pretense, hearts as big as Canada. Hoping to go back for fourth visit next summer. Beautiful stories and photographs. I lived in St. John’s, Newfoundland from 1967 to 1973. I regret now that I did not record my stories about our way of life at that time. In fifty years, the way of life in all places can change a lot, but particularly so in places like Newfoundland and Labrador. Keep writing these wonderful stories, Sandra. I know from experience that it feels so ordinary when one is in the place, but it is far from the usual. I’m a little slow to respond, but thanks for taking the time to send this note Edna. And, yes, things can change so much. 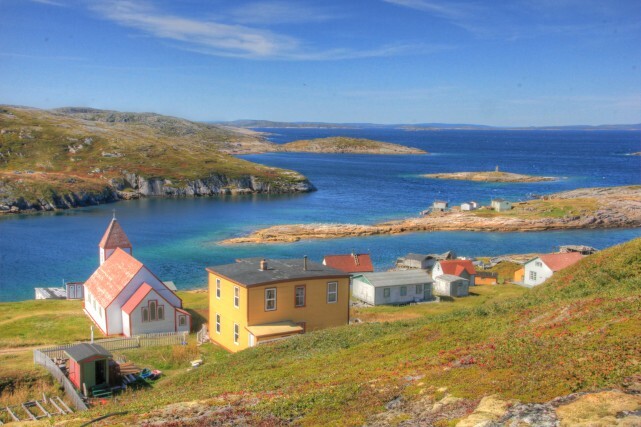 And you are so right that things feel “ordinary” when one is in a place like NL and Labrador or it is far from the usual!